The importance of hemp seed nutrients to human health cannot be fully appreciated without some understanding of bio-chemistry in life. Unfortunately, any attempt to understand the flow of life leads into the realm of the most troublesome of the three infinities -- the infinitely complex. Some deep thinkers believe life is a paradox not to be understood but experienced to the fullest. However, the Sages have said, "Know thyself." At any rate it is paradoxic to attempt simplifying the infinite complexity of flowing life. Yet, it is far better for the health and development of any thinking and feeling, uniquely individual human being, to pursue knowledge than to lounge in ignorance. One out of two Americans win die from the effects of cardiovascular disease (CVD). One out of four Americans will die from cancer. Researchers believe cancers erupt when immune system response is weakened. Pioneers in the fields of biochemistry and human nutrition now believe CVD and most cancers are really diseases of fatty degeneration caused by the continued over-consumption of saturated fats and refined vegetable oils that turn essential fatty acids into carcinogenic killers. And if this is not scary enough, more Americans are succumbing to immune deficiency diseases than ever before. Sadly it is ignorance of human nutritional needs that will cause this overwhelming majority of Americans to die slowly from these afflictions -- the greatest killers in affluent nations. There are eight amino acids the human body cannot make and two more the body cannot make in sufficient quantity, so they are essential to life. A diet without any one of them will eventually cause disease and death. These essential amino acids, along with eleven others the body can make from them, are chained together in accordance to genetic guidelines, via RNA formats from DNA blueprints, into structural proteins that give body to life, and into enzymes (globular proteins) that carry out the mechanics of living. Nearly three quarters of body solids are proteins. The body is literally constructed and maintained by an infinitely complex system that simply builds proteins from amino acid sub units. Every amino acid consists of an amine and a carboxyl bound to the same carbon atom. All but the smallest amino acid have one, more or less complex, carbon containing side chain connected to the carbon atom shared by the amine and carboxyl groups. The amine group, ND, is slightly basic; the carboxyl group, COOH, is a mild acid. The amine group of one amino acid unites with the carboxyl group of another forming a peptide link. Proteins are made of amino acid peptide chains in specific sequences. The number of possible amino acid peptide combinations is infinite. Peptide chains can bend, twist and unite with other peptide chains by forming weak hydrogen bonds between nitrogen and oxygen atoms along the chain. Amino acids can also form bonds through side chain linkages. All three types of amino acid bonding methods contribute to the infinite possibility of protein shapes and reactivity potentials. Though each species builds proteins unique to itself, life can tailor new ones if challenged by the pressures of existence. Hemp is not unique in having all the essential amino acids in its embryonic seed. Flax seeds also contain all the essential amino acids as do many other seeds in the plant kingdom. 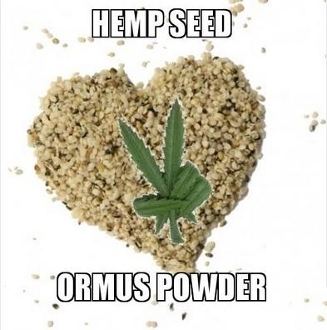 What is unique about hemp seed protein is that 65% of it is globulin edistin. That is the highest in the plant kingdom. Globulins are one of seven classes of simple proteins. Simple proteins are constructed from amino acids and contain no non-protein substances. Globulins are in seeds and animal blood. Edistins are found in seeds; serum globulin is in blood. Edistins are plant globulins. And globulins along with albumins are classified as globular proteins. All enzymes, antibodies, many hormones, hemoglobin and fibrogin (the body converts fibrogin into non-soluble, fibrin, a blood clotting agent) are globular proteins. They carry out the main work of living. Albumin, globulin and fibrogin are the three major types of plasma proteins. Plasma is the fluid portion of blood that supplies nutrients to tissues. And the three protein types: serum albumin, serum globulin and fibrogin, compose about 80% of plasma solids. These plasma proteins serve as a reservoir of rapidly available amino acids should any body tissues be in need. Plant seeds contain albumin and globulin but no fibrogin. Albumin is the nutritive material that fills the space in the seed between the embryo and the seed coat. The embryo needs albumin to fuel its initial growth until photosynthesis begins. Globulin edistins within the embryo guarantee this new life has the enzymes necessary for metabolic activity. Globulin is the third most abundant protein in the human body. Globulins perform many enzymatic (causing reactions to take place) functions within the plasma itself. More importantly, they are responsible for both the natural and acquired immunity a person has against invading organisms. The body uses globulin proteins to make antibodies which attack infecting agents (antigens) that invade the body. Globulins like gamma globulin are absolutely essential to maintain a healthy immune system. They neutralize alien microorganisms and toxins. Globulins are divided into three classes: alpha, beta and gamma globulins. Alpha and beta globulins operate as transport vehicles by combining with other substances and carry protein from one part of the body to another. They haul the materials needed to build new and replace worn or damaged bodily structures. Gamma globulins are divided into five classes of antibodies called immunoglobulins. All are formed to combat specific cell invading antigens. They comprise the body's first line of defense against disease and infection. Immunoglobulins are produced by B lymphocyte (white blood cells) plasma cell clones located in lymph system nodes. Infecting antigens normally must pass through the lymph system before entering the blood stream. Regarding human protein requirement: "Qualitively, it is considered desirable to secure amino acids similar to those of human tissues, both as to kinds and relative quantities of the various kinds." During digestion proteins in food are broken down into amino acids. The amino acids are then taken into the body and reassembled into human proteins according to need and the availability of the amino acids necessary to make specific proteins. The body needs the necessary kinds of amino acids in sufficient quantity in order to make proteins such as the globulins. Proper quantities of the right kinds may not be available to the body much of the time. So even though the body has enough essential amino acids available to prevent deficiency diseases, it may not have enough to build quantities of immunoglobulins necessary for the immune system to repel infection. Hemp seeds are also a rich source of a number of essential minerals, including magnesium, phosphorus, iron and zinc. 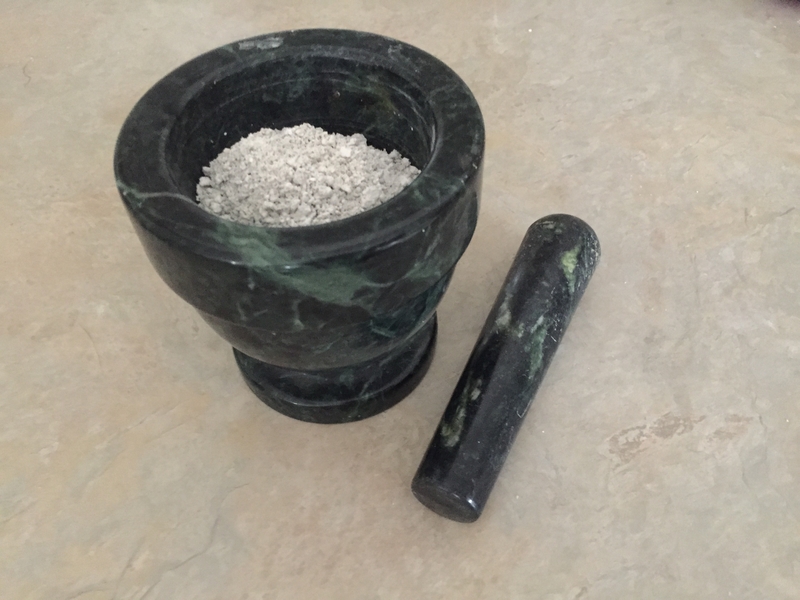 Three tablespoons meets 50 percent of the daily value for magnesium and phosphorus, 25 percent of the daily value for zinc and 15 percent for iron. Meeting your daily magnesium and phosphorus needs is important for bone health. Iron is necessary for delivering oxygen throughout your body, and zinc supports immune health.